Safe Boating License Class.- New England Dive Wallingford, CT. 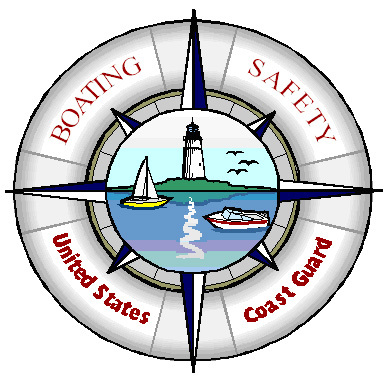 If you are interested in an exciting, in-depth boating safety course, check out the in classroom (seminar) version of The US Coast Guard Auxiliary boating course we are holding here at New England Dive. This 2-night beginner boating class is a total of 8 hours and will give you the knowledge needed to obtain a boat license or safety certification in Connecticut, as well as, many states. Many boat insurance companies will offer discounts on boating insurance to boaters who successfully complete About Boating Safely. Introduction to Boating – Types of power boats; sailboats; outboards; paddle boats; houseboats; different uses of boats; various power boating engines; jet drives; family boating basics. Boating Law – Boat registration; boating regulation; hull identification number; required boat safety equipment; operating safely and reporting accidents; protecting the marine environment; Federal boat law; state boating laws; personal watercraft requirements. 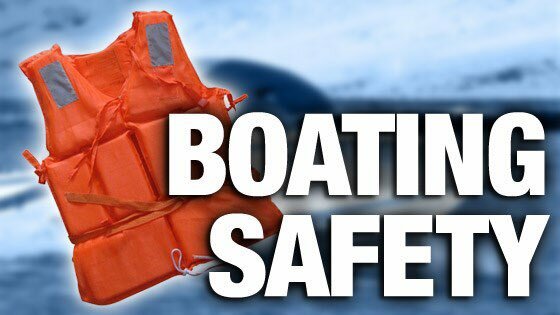 Boat Safety Equipment –Personal flotation devices (“life jackets”); fire extinguishers; sound-producing devices; visual-distress signals; dock lines and rope; first aid kit; anchors and anchor lines; other boating safety equipment. Safe Boating – Bow riding; alcohol and drug abuse; entering, loading, and trimming a boat; fueling portable and permanent tanks; steering with a tiller and a wheel; docking, undocking and mooring; knots; filing a float plan; checking equipment, fuel, weather and tides; using charts; choosing and using an anchor; safe PWC handling; general water safety. Boating Problems – Hypothermia; boating accidents and rescues; man overboard recovery; capsizing; running aground; river hazards; strainers: emergency radio calls; engine problems; equipment failures; carbon monoxide (CO); other boating and PWC problems. Trailering, Storing and Protecting Your Boat – Types of trailers; trailer brakes, lights, hitches, tires, and bearings; loading, balancing, and towing a trailer; towing (and backing) a trailer; boat launching and retrieving; boat storage and theft protection; launching, retrieving and storing a PWC. Hunting and Fishing, Water-skiing and River Boating – Carrying hunting gear and weapons in a boat; fishing from a boat; water-skiing safety guidelines and hand signals; water-skiing with a PWC; navigating rivers, and other boating tips. New England Dive is your one stop scuba shop for all of your SCUBA diving needs. This full service center also offers classes, equipment sales, trips, charters, and adventures, live & frozen bait, tackle, and swimming pool repair. New England Dive’s 10,000 sq ft showroom is the largest of its kind in the North East. The staff at New England Dive is eagerly awaiting your call to sign up for class now! 203.284.1880. Customer service matters to us, helping you achieve your goals is the reward of working for such a great team of professionals. Hosted by New England Dive.